1. Skin care is key. It’s no secret that a foolproof selfie starts with foolproof skin, too! Even Bea Marin knows that here’s not a single filter or photo-editing app in the world that can beat having naturally healthy, glowing skin. This makes taking that perfect selfie a lot easier! 2. Take your time to figure out which products work for you. We all have different skin types and it’s crucial we devote time and effort to really find out which one works for our skin. Many promise great results, but only few can actually deliver and give you that selfie-ready skin! 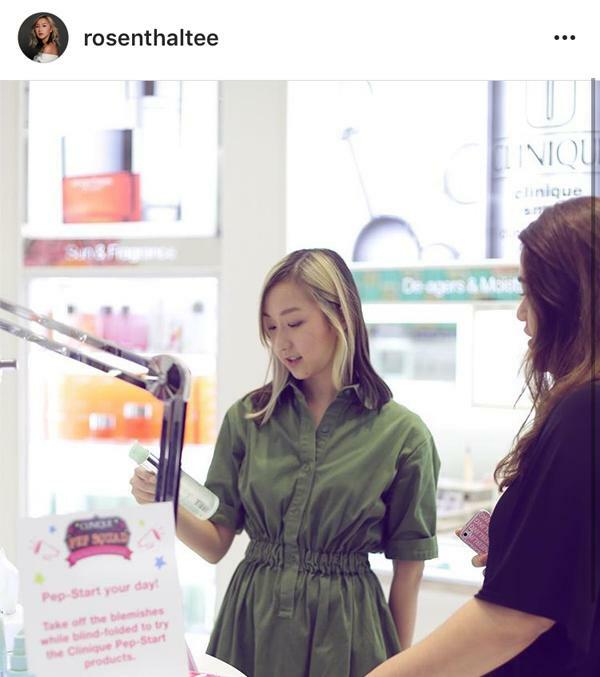 Take your cue from Rosenthal Tee and don’t be afraid to ask and consult with a beauty expert about which products can specifically address your skin needs. 3. Religiously follow your skin care regimen. Once you’ve found the perfect products for your skin type, stick to it and never skip a day without cleansing and moisturizing your skin. Breakouts are bound to happen when our skin lacks moisture or when dirt, grime, and oil start to clog our pores. Like Katt Valdez, do yourself a favor and don’t be lazy when it comes to caring for your skin. 4. Your eyes need proper care and attention, too! Whoever said eyes are the window to the soul wasn’t kidding. Stress, fatigue, and lack of sleep are a dead giveaway if you have tired-looking eyes. Even Chelsea Robato knows the struggle of having puffy eye bags. Luckily, Clinique’s Pep-Start Eye Cream can take those signs away in a matter of three seconds and brighten those peepers to make you look wide awake in a jiffy. It even stimulates natural collagen and elastic production to plump skin and diminish sallowness and discoloration in your under-eye area. Now when you take that selfie, all that’s left for you to do is smize! 5. Never leave home your skin care essentials when traveling. Did you know that air travel is actually a sneaky cause of pimples? The lack of moisture inside the plane dehydrates your skin and usually results to post-flight acne. 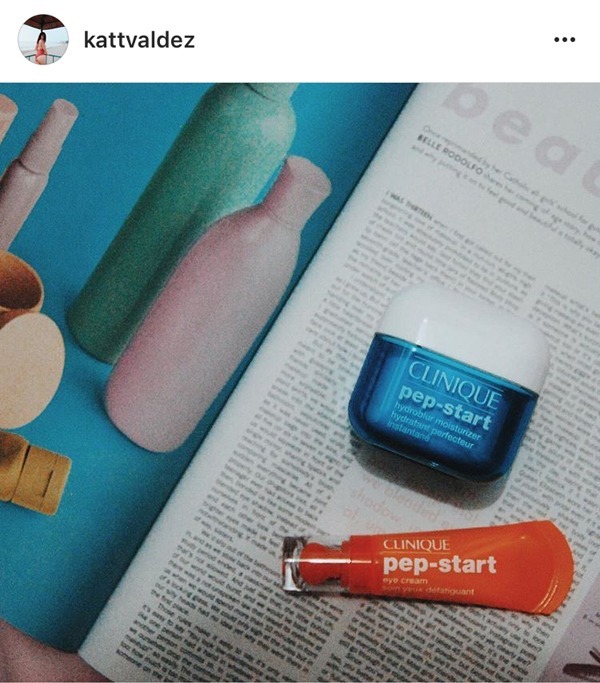 That said, follow in Janina Manipol’s footsteps and be armed with your skin care essentials when traveling, like Clinique’s Pep-Start 2-in-1 Exfoliation Cleanser, a multi-tasking master that will slough away dead skin cells and leave your skin feeling clean and refreshed. 6. Basic skin care routine first before applying makeup! Before anything else, make sure to prep your skin for a flawless makeup application. There’s no way you can cheat dry skin and clogged pores, so give it a much-needed cleansing first before applying anything. 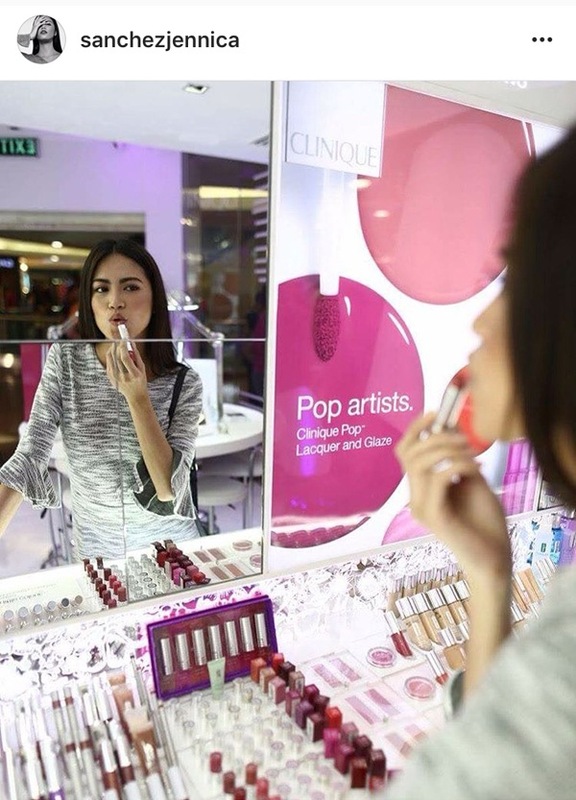 After that, you’re ready to get dolled up and give your best pout like Jennica Sanchez. 7. Find your best angle and rock that selfie! 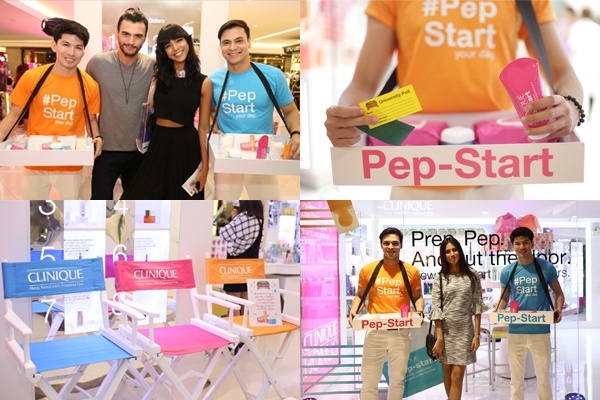 Armed with great skin to ace that selfie, there’s no way you won’t be reaping those insta-hearts! 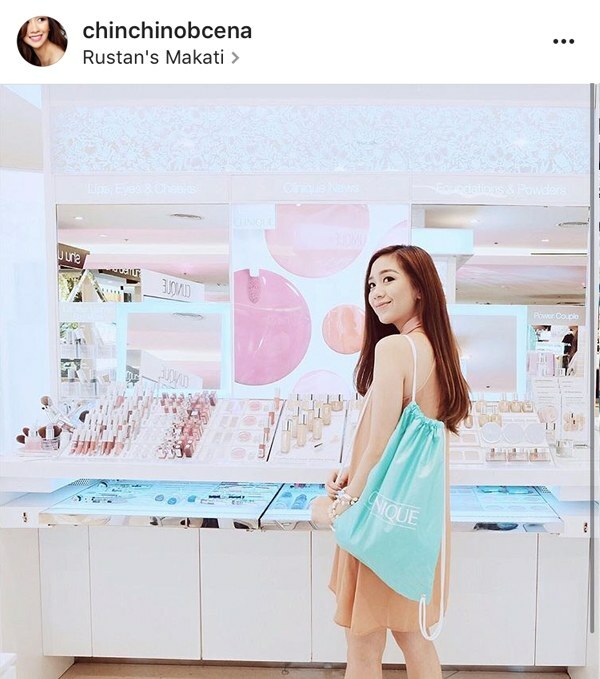 Take a page from Chin Chin Obcena’s book and snap away ‘til you get that double tap-worthy beauty snap. Now you’re ready with or without a filter! 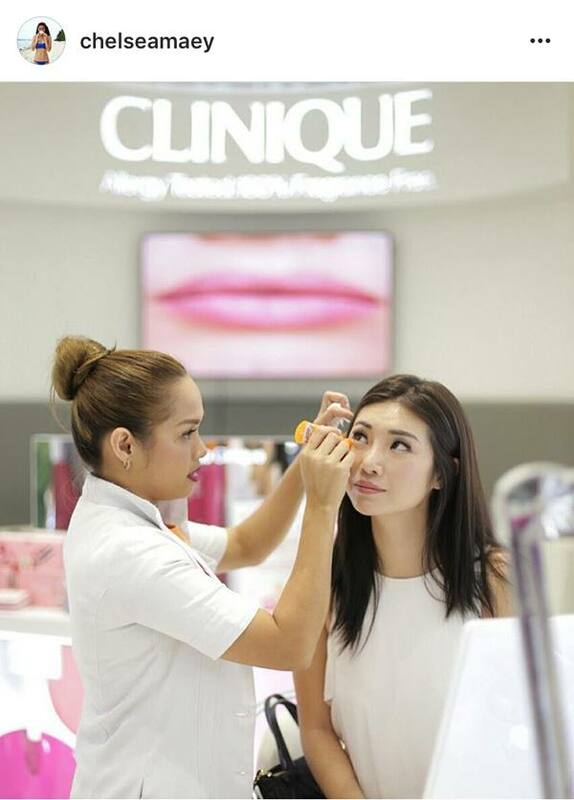 Clinique is available at Rustan's Makati, Shangri-La Plaza, Alabang Town Center, Trinoma, Ayala Center Cebu, SM Mall of Asia, Megamall, Aura, Makati, North Edsa, Clark, and Seaside Cebu. 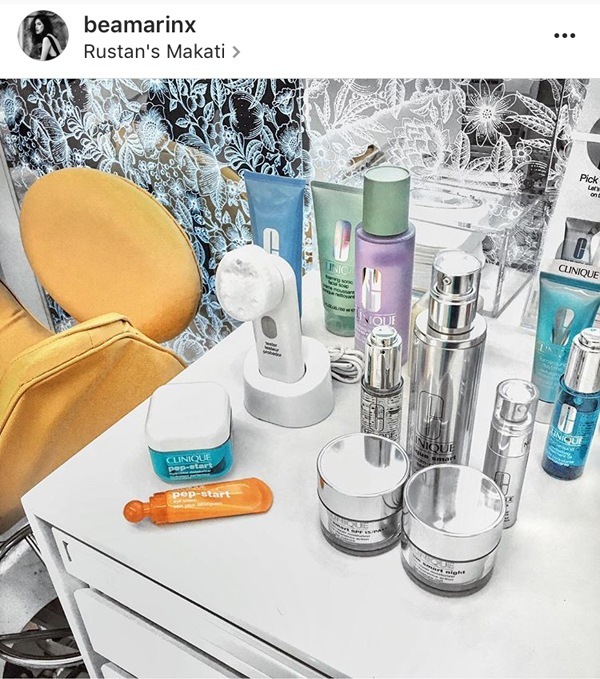 Rustan's Essences Rockwell, Robinsons Place Manila, Robinsons Place Magnolia, and Abreeza Davao.